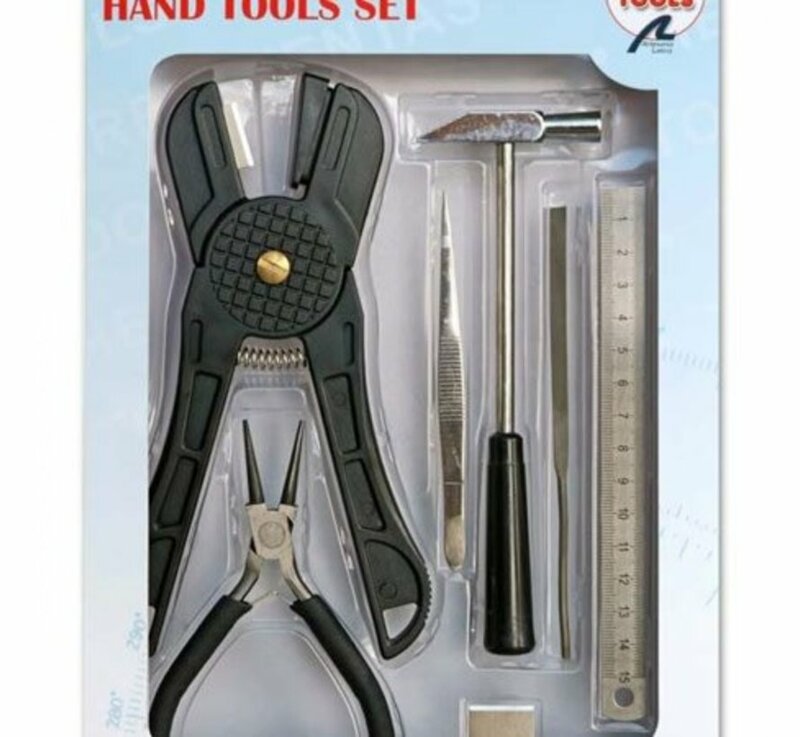 Modeling tools set. The kit of professional modeling tools 1 brings tools for building your ships, planes and trains models easily: it includes plank bender that make easier the bending of wood with spare blade, tweezers, hammer with metal head, flat rasp, ruler and round nose pliers. 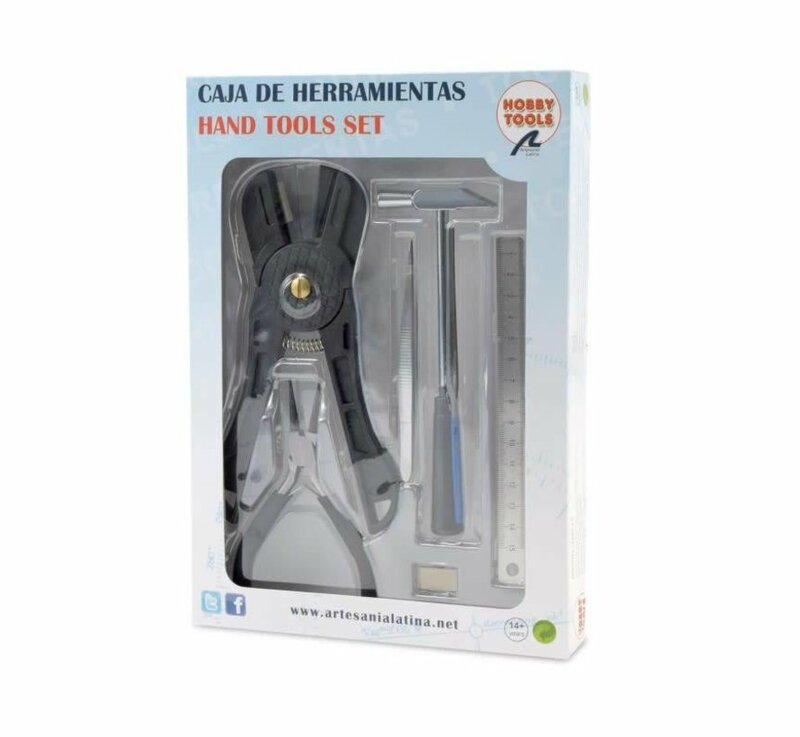 Perfect gift for advanced modellers. 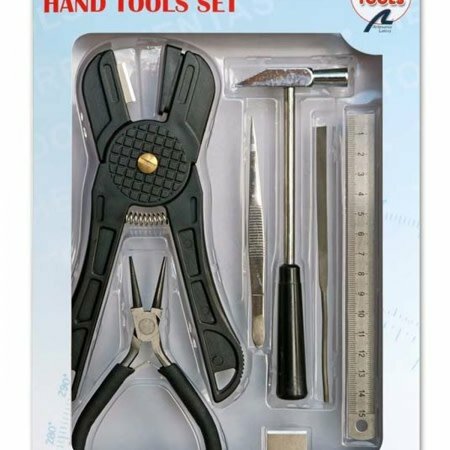 Set of professional tools for modeling, necessary for the assembly of any ship model in scale. Buying modeling tools will greatly facilitate the construction of wooden models. 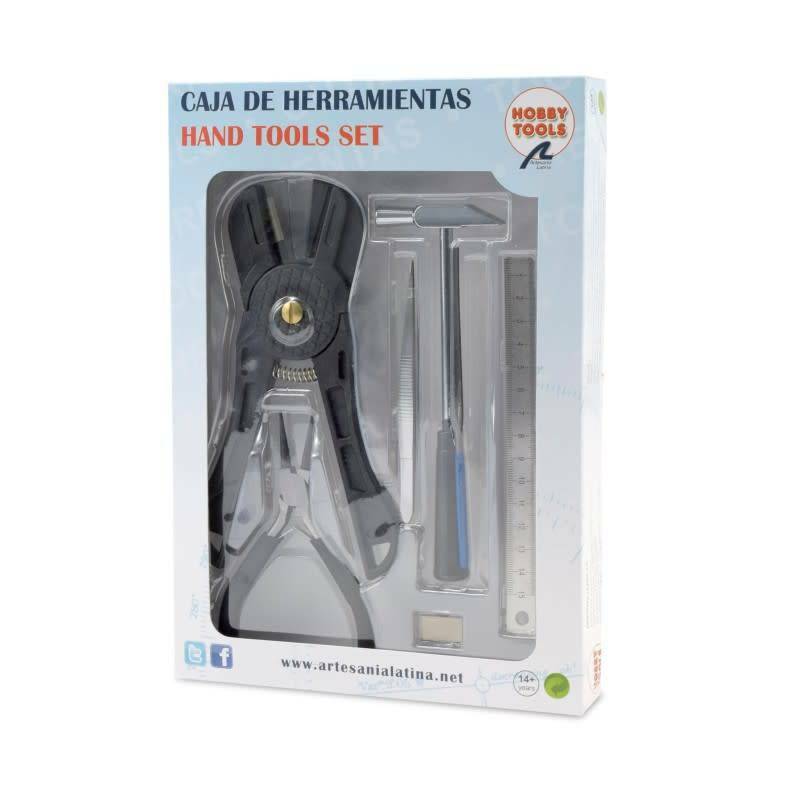 This kit of professional tools for modeling has the necessary tools to assemble any scale model and take the practice of modeling to a new level. Plank Bender Includes spare blade. 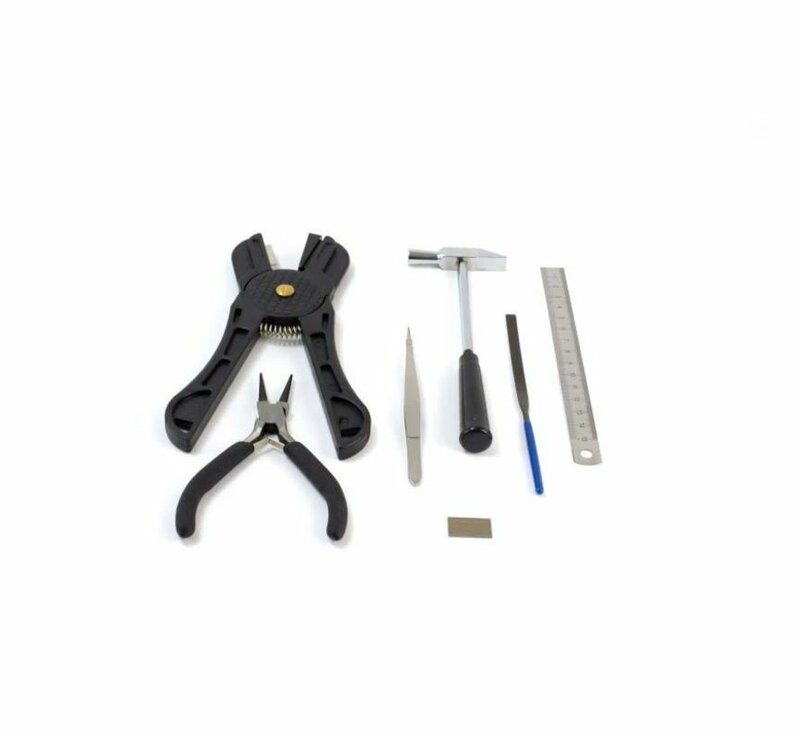 Pliers for bending of wooden slats by making incisions on the inside of the curve you want to achieve. Made of ABS. 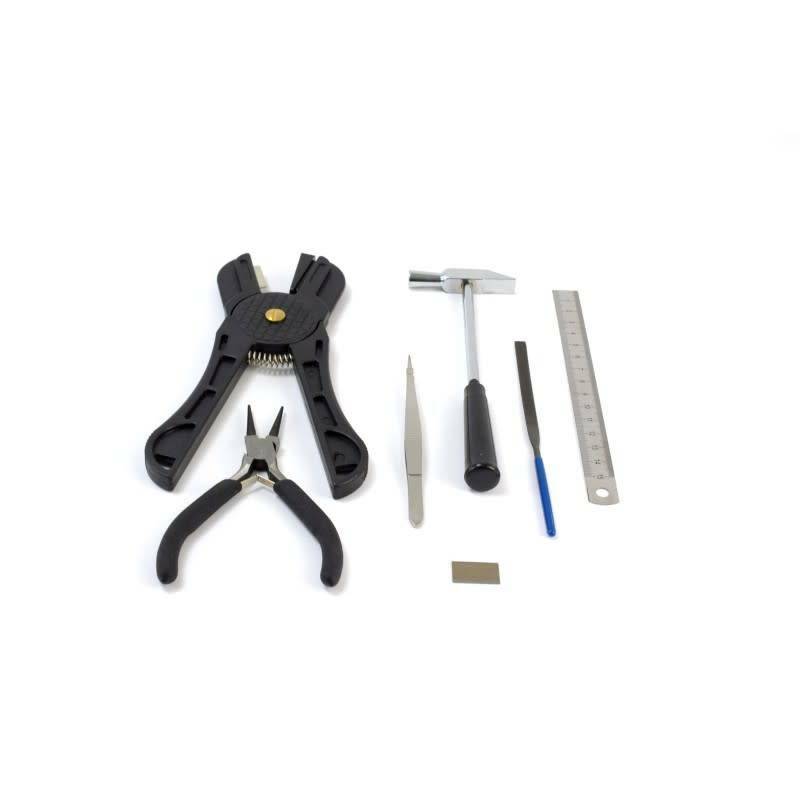 Tweezers Ideal for working and handling small pieces. Hammer with Metal Head Basic tool of multiple uses. Modeller hammer made of chromed steel. Flat Rasp For roughing and leveling surfaces. They let working and giving shape to metal pieces, wires, etc.